We work with clients around the world on strategy, planning and problem solving with our main objective being to help clients develop business skills and knowledge in order to further improve their performance. We offer a selected pool of experts who have many years of experience in the field and highly successful track records. To put it simply, they are all world-class leaders and highly respected in their field of work. Having worked with major organizations from all over the world, they not only bring knowledge into the organization but also insights and to the point solutions. We assist corporations in designing their executive development programs via analysing their current position, identifying their organizational goals for the future and determining the right strategy for their executive development needs. Despite the enormous investment (trainings, courses, workshops, online seminars, conference attendance and so on) the workplace today is as dysfunctional as ever. As far as corporate training is concerned there are 5 areas or keys that we help our clients evaluate and analyse in order to determine their training priorities. 1. Where is my organization today and where does it want to go? 2. What skills and behaviours are required to take that journey (both short term and long term)? 3. Who do we have on board (taking into account skills, commitment, determination, age, generation and personal motives & needs)? 4. Out of all the things that we need what is our training priority? 5. What do we expect as an outcome of this training. How will we measure the training’s effectiveness? A crucial part in our approach is the fact that we help our clients identify and reach out to the appropriate experts for their industry and specific requirements. A working team is essentially a collaboration and coexistence under a common umbrella, which in the business world is referred to as the mission of an organisation. Effective and efficient teams are gestated and matured where there is the absolute consensus that a team produces results greater than the sum of its parts. Nowadays the fundamental platform on which an organisation can form high performing teams lies on the realisation that each member of the team is a leader on his/her own right and that his/her work is extremely crucial to the overall success of the organisation. It seems counterintuitive but it has been proven over and over again, that efficient teams are those where all the members are and consider themselves to be leaders. Building a stunning team, means to actually nurture conscious and aware leaders. Our consulting on building high performance teams is built exactly aligned with these ideas: To give examples, to teach and finally to transform through experiential exercises, executives into fantastic leaders and from that point on members of hugely successful teams. Productivity expert, entrepreneur, business consultant. Konstantinos has worked with universities and numerous multinational companies sharing his innovative approaches and strategies to achieve maximum productivity while being joyful and fulfilled. With an extremely diverse background and vast knowledge he combines theatre, science, business and performance art in a unique way to deliver his messages and to enable executives and companies achieve, be and have more. Konstantinos has worked with companies such as Roche Diagnostics, Leroy Merlin, Alpha Bank, Cosmote, Dell, Sales Institute in Greece, Hellenic Institute of Customer Service, Prime Insurance and Sanofi among others. The approach to culture evolution has been designed with one aim in mind – to help you and your organisation BECOME the best you can be – so that you can achieve the most ambitious performance goals that you set for yourself. Aga Bajer does not believe in “one size fits all” and she makes sure that the methodology she uses is tailored to your unique needs, your context and your goals. She and her team spend significant time with the key people in your organisation to understand the current culture, your aspirations and your must-win battles. This is where we establish your starting point. We use a robust methodology including surveys and qualitative data collection in order to take a clear and in-depth assessment of your current culture. Data is great but it’s not enough. At this stage we engage your people in a series of conversations that help us to understand the outcomes of the Baselining stage, as well as what would be the best way to align your purpose, your strategy and your culture. What we are aiming at is to understand what behaviours will drive the results that you need to achieve to fulfil your purpose and bring your vision to life. As soon as we know your starting point and where it is that you are heading, we are ready to chart the way forward. This stage is all about designing the architecture that will enable you to cultivate the kind of culture that has the power to bring your vision to life. This is the stage where a series of interventions are being implemented at three levels – individual, team and organisation. We start small and right where the real work happens – no theoretical training, bombastic campaigns and exorbitantly expensive roll-outs. Instead, we focus all our energy on the smallest possible group of people who can spread the desired behaviours and practices to others. For new behaviours to “stick” and lead to sustainable change at the deeper levels of culture, we use proven reinforcement mechanisms that help people to do what’s right, even when nobody is watching. This approach works but no need to take our word on it. We will perform pulse surveys and an evaluation survey to measure progress and help you decide how you want to keep evolving your culture, so that it always supports you in what you are trying to achieve. Aga is a culture strategist and she works with organisations, teams and leaders around the globe to help them shape a culture that brings their vision to life. “HOW CAN WE CREATE A WORLD WHERE PEOPLE WILL LOVE SHOWING UP AT WORK”? …with her unstoppable and insatiable curiosity about what works and what doesn’t work in organisational and social change. Aga wants to help people make this time count. Her mission is to help organisations harness the power of culture to create a world where people love showing up at work. She is passionate about finding solutions that work, not the ones that feel familiar, look good on paper and that please everyone. She is in a relentless pursuit of game-changing ideas and solutions that have potential to transform an ordinary organisation into an extraordinary one. She’s naturally driven by curiosity and seeks to create strong partnership and collaboration with her clients, colleagues, and suppliers, enabling her to figure out what would work best for each client. She works with companies and leaders who she respects and values – their needs and points of view are truly important for her. True expertise and knowledge never take the form of incomprehensible mumbo-jumbo. Nor do they result in excessively complex solutions. She’s on a mission to demystify organisational culture, making the topic of culture more accessible, relatable and less overwhelming in its complexity. And most of all, simplicity means working with transparency and humbleness. Change never happens in a vacuum. It’s only through deep and authentic connections between like-minded people that a culture can change. She’s deeply committed to facilitating these connections to enable groups of committed individuals to work together effectively for the vision they want to bring to life. Her approach is science and evidence-based. She makes the complex issue of culture as simple (but not simpler) as possible, uncovering all the crucial and fundamental forces at play, so that you can take the right actions to bring about the change you seek. Aga has worked with clients such as Toyota, Porsche, Sanofi, GlaxoSmithKline, Vodafone, Amdocs, SAP, Hellenic Bank, Eurobank, European Patent Office, Wargaming, Bank of Cyprus, UNITEAM, Bernard Schultz SHIPMANAGEMENT, Eurolife, Novartis, Cyprus Academy of Public Administration (Cyprus Government), PwC, Citibank, Dixon’s and many others. Many organizations confuse mission and vision. A mission is simply put a statement about who you are. Vision is not just a statement. It is a set of ideas that describe a state – where the organization wants to be in the future. Missions rarely change and should be very clear. Visions are dynamic and drive constant learning and innovation. Because of its nature, when organisations form a vision, it is extremely important to have a great understanding and grasping of the future (technology trends, socio-cultural trends, economy trends etc.) Vision formation also means a long term process involving all departments and employees. After all, one of its main purposes is to drive inspiration, excitement and stretch creativity, so it must involve everyone within the organization. At the end of the process different parts of the organization probably will have different visions but this is expected because a vision is a roadmap leading into the transformation of the organization, or in other words the vision is what currently aligns an organization with its mission. Vision consulting is not a typical consulting project by any means. It demands a great investment of time and high level of employee involvement. It is a process that will bring to the surface the constraints, pitfalls, bottlenecks and misbehaviors of the organization while at the same time build the roadmap to enhance, create, innovate, correct and eventually transform. Maria is the founder of Happy Creations, and an expert in strategic marketing with 20 years of experience with international companies. 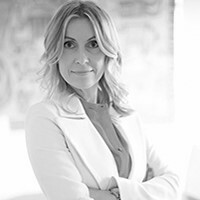 For the last decade Maria has worked closely with distinguished personalities (academics, politicians, CEOs, authors, artists) from around the world and demanding clients in more than 20 countries. Along with her team they have achieved outstanding customer loyalty with repeat clients in Europe, Africa and Asia. For the last couple of years Maria has also been involved in directly managing respected personalities from Greece and the UK. Maria is working closely with clients to help them identify and design their vision for the future. Her approach is simple. It’s everyone’s business. It is a long term process that affects all aspects and departments within an organisation thus everyone should get involved. It is a process that ignites change & transformation, not a vision statement. Depending on the client case, Maria brings expertise from consultants around the world in order to analyze and forecast trends, examine competition, evaluate the strategic positioning and enable change. As her approach to vision is that it is an opportunity and tool for ongoing progress, she facilitates organizations to communicate their vision internally and keep the flame alive. 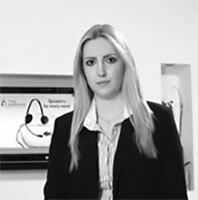 Maria has worked closely on various projects with companies such as Piraeus Bank, Sanofi and Leroy Merlin. You are in a leadership position and you have a terrific vision to move forward. You are hard-working and smart. You have a great track record of career success. You aren’t afraid to rock the boat and to do what it takes to make a positive change. Aga Bajer helps leaders like you to create a culture that brings their vision to life. Her approach to executive coaching is informed by over 20 years career and experience as a leader, consultant, researcher and author. In her work with clients, she uses a unique blend of disciplines, including neuroscience, cognitive-behavioural psychology, anthropology, sociology, systems theory and many others. She uses her BECOME process that enables her clients to harness the forces at play in their life, putting them firmly back into the driver’s seat and connecting them to the most reliable source of power and strength available to a person. Over the last decade research in the field of positive psychology has shown that positivity, happiness and optimism fuel performance, and that cultivating positive emotions foster motivation, resilience, creativity, and productivity. Indeed, results of over 300 scientific studies have consistently demonstrated that happiness leads to success in almost every domain of human activity. Happy workers have higher levels of productivity, produce higher sales, perform better in leadership positions, demonstrate higher loyalty, work harder, perform better in teams, receive higher performance ratings and higher pay. Applying positive psychology principles to foster resilience, engagement and productivity. Defining personal values, strengths, and passions and connecting them to the work and personal life. Developing skills, strategies and behaviors that enhance team building, inspiration, creativity and innovative thinking. 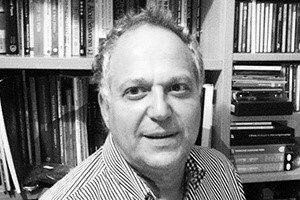 Dr. Anastasios Stalikas is the founder and President of the Hellenic Association of Positive Psychology. He has been employed as a Psychology Professor in McGill University, University of Athens and Cretan University. From 1998 until today he works as a Psychology Professor in Panteion University of Social and Political Sciences. His research interests include variables from clinical, consulting and organizational psychology, while he specializes in methodology and statistics. He has published several articles in major international and national journals. He is the author of a large number of scientific psychology books. He is an active member of psychological associations such as the American Psychological Association, the Canadian Psychological Association, the Ordres des Psychologues du Québec, the Society for psychotherapy Research and the Greek National Psychology Association. Are you ready to survive and thrive in an age of AI, automation and algorithms? Terence Mauri provides consultancy and top team development for leading disruption that all businesses are facing and looks at smart ways to stay one step ahead. His strategic consultancy ensures you get new thinking, cutting edge research and practical shortcuts to shake up the status quo no matter what sector or industry. Terence Mauri (MBA) is a former McKinsey Consultant with a successful track record in high level strategic consulting covering business turnarounds, change initiatives, tech and culture change. He is the author of the global bestseller The Leader’s Mindset: How To Win In The Age of Disruption and holds mentor in residence roles at London Business School and Oxford University. He has led successful disruption change programmes for organisations including Sony, IBM, General Electric, Ikea, Bombardier, NATO and Johnson & Johnson. The Maestro Leadership Workshop is unlike any other leadership workshop you have ever experienced and is based solely on Itay Talgam’s Maestro Leadership Program. It is a customizable workshop based on target requirements and can include collaborations with local string quartets or even bigger orchestra’s. In these workshops or consultations the participants are able to look at the culture of their organization as a whole, and at the way their own style of leadership and those of their colleagues, work within the framework of that particular culture. Managers can also be expected to be more aware of diversity as an asset of the organization, and of their own performance as trainers, mentors and motivators. All participants can be expected to have an enhanced ability to examine themselves as team members, and new appreciation of the importance of supportive and collaborative behaviors. When whole units of business organizations go through “maestro” training, the new, alternative ‘musical’ vocabulary becomes available, and serves as a ‘softer’ medium of communication – releasing tension and reducing alienation from the workplace, and promoting a feeling of ‘fun’ and satisfaction. Clients of The Maestro Leadership Program include among others HSBC Bank, The United Nations Leadership Program, Red Arrow, Chanel and Nike. More information about the program can be found on www.talgam.com. Itay Talgam is an orchestral conductor turned into ‘conductor of people’ – be it in government, academia, business, education, therapy – anywhere the creation of human harmony through cooperation is desired. 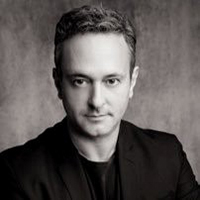 Itay has been working with many Fortune 100 companies, and is keynote speaker to many of the world’s leading conferences, including TED Global (Oxford), Google’s ZeitGeist (California, London), DLD, and the World Economic Forum in Davos. His talks, based of continuous dialogue, have been experienced either directly or on-line by millions of participants and viewers. His book, “The Ignorant Maestro”, has been published by ‘Penguin RandomHouse Books’ (USA and UK editions) in 2015, and was since published in 10 other languages. Itay sees himself as a disciple of his great teacher, Leonard Bernstein. Itay’s international conducting debut took place in 1987, when he was chosen and presented by Maestro Bernstein in a special concert, conducting the Orchestre de Paris, Bernstein himself conducting the second half of the same concert. Since that highly successful performance, Talgam conducted many orchestras in Europe, being the first Israeli conductor to perform with the St. Petersburg Philharmonic Orchestra and the Leipzig Opera house. He also conducted and recorded with all of Israel’s major orchestras, including the Israel Philharmonic Orchestra. Service is essentially taking action to create value for someone else. Building a service culture is a strategic, long-term initiative that requires sustained focus and commitment on one hand and inspired leaders, committed managers, dedicated supervisors, and motivated front line staff on the other. What we offer is a consulting that will create alignment inside your leadership team, enable you to evaluate your current service culture and learn extremely efficient strategies that will help you get your customer service to the next level. If someone would like to get more specific, some crucial cornerstones of the reinventing process of our customer service consulting program include choosing an appropriate language to articulate the service vision, communicate that to every service provider inside the company, identify areas of improvement, set priorities for action and establish responsibilities, create a common service language. This kind of consulting is for companies and organisations that fully understand that fantastic customer service is not something that can be evolved with frontline training initiatives but with the collaboration and highly engaged participation of the senior executives. Alex has worked with his firm, STIRIXIS Group, in successfully developing retail concepts for over 20 years in more than 20 countries. Based on a systemic business approach, Alex works with companies to redefine objectives, redesign solutions and – above all – align this way all company parts to produce emergent values, and maximize RoI. Through his diverse experience, he has gained thorough understanding and deep knowledge of all retail phases from retail design to CX to Sensorial Marketing and Operational Design. Alex is certified by the International Customer Service Association (ICSA) in CX Strategy and Innovation and has been awarded the “Best European CEO in Retail Development” from the European CEO Awards (UK) in 2015. Alex holds a Masters in Civil Engineering (M.Civ.Eng) from Aristotelian University of Thessaloniki Greece and a Master in Business Administration (MBA) with distinction, from the Adam Smith Business School of Glasgow University in Great Britain. He is certified in Project Management from the International Project Management Association (IPMA), certified in Strategy and Innovation from the International Customer Service Association (ICSA) and an eminent public speaker on Change “Systems Thinking” and its tools for Maximization of ROI. He is also currently a member and Secretary General of the Board of the Greek Nigerian Chamber of Commerce and a member of the Board of the British Hellenic Chamber of Commerce, President of the Alumni Association of Glasgow University in Athens and a member of the Advisory Board of the Athens Customer Experience Festival. 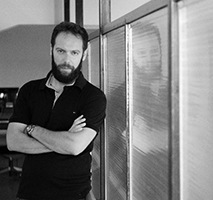 He has also served as an elected member of the Hellenic Institute of Marketing from 2010 to 2013. One of the first entrepreneurs to implement Systems and Design Thinking in Business Innovation, Alex Athanassoulas speaks emphatically about the need to constantly change to remain contemporary and attractive in a VUCA world. Agility can be achieved only through a shift of company culture to one that totally embraces or desires change at an ear when large, even robust, organizations fail to keep up with the accelerating pace of change and become irrelevant. For that, Alex works with companies center outwards to produce viable sustainable models that adapt or even reinvent themselves to keep ahead of the curve and defy life-cycles. With a combination of financial and non-financial KPIs, Market Research, Experimentation processes, feedback mechanisms and trend hunting, Alex works for his clients to install concept or business evolution processes as an integral part of their management systems. Aga Bajer helps teams like yours to achieve extraordinary results by focusing both on WHAT needs to be accomplished (your mission) and HOW you go abut it (your culture). Teams that she works with typically multiply their effectiveness and results in just 3 months. Her approach to team coaching is informed by over 20 years career and experience as a leader, consultant, researcher and author. She uses her BECOME process that enables teams to have the most effective meetings they have ever had, followed by actions that bring extraordinary results. Happy Creations is working with world class leaders to leverage corporate effectiveness via strategizing executive training and consulting. A business event, in the right hands, can be a powerful marketing, strategic or communication tool. Happy Creations has got you covered from A – Z! Producing a video that actually changes attitudes or behaviors, is about understanding the way audiences think. It requires strategy, creativity and in depth business understanding.